How did Islam come to be considered a Christian heresy ? 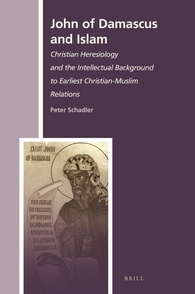 In this book, Peter Schadler outlines the intellectual background of the Christian Near East that led John, a Christian serving in the court of the caliph in Damascus, to categorize Islam as a heresy. Schadler shows that different uses of the term heresy persisted among Christians, and then demonstrates that John’s assessment of the beliefs and practices of Muslims has been mistakenly dismissed on assumptions he was highly biased. The practices and beliefs John ascribes to Islam have analogues in the Islamic tradition, proving that John may well represent an accurate picture of Islam as he knew it in the seventh and eighth centuries in Syria and Palestine.